Transform a room in your McKinney, Plano, or Frisco home in seconds and with minimal effort. More Space Place Dallas brings comfort, utility, and versatility to new heights with its Murphy and panel beds, a perfect addition to any Texas home. 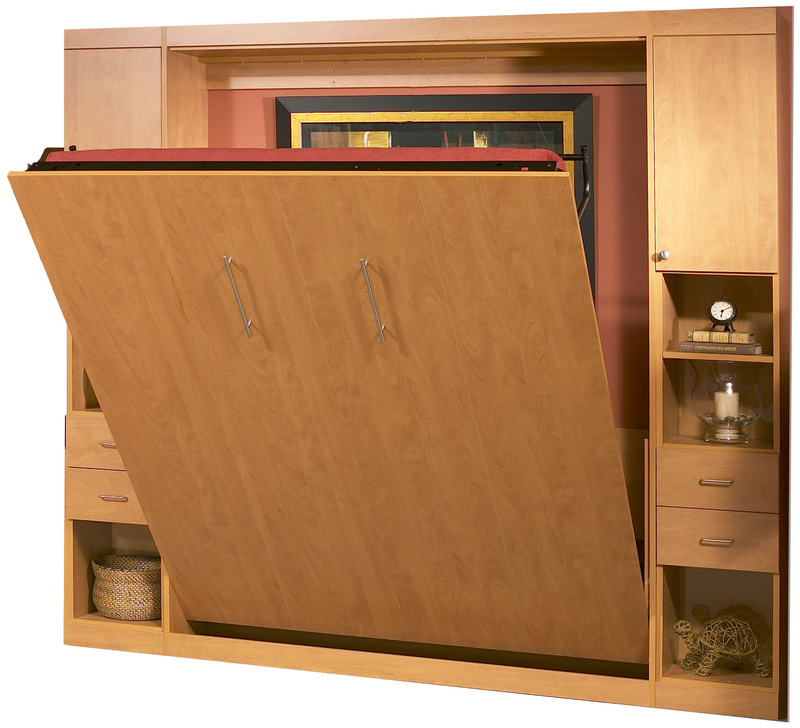 The Murphy bed is a classic space saver and the original disappearing bed. 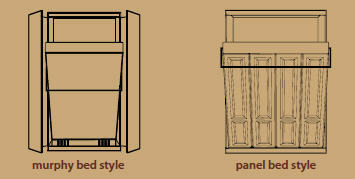 Its steel frame is artfully hidden behind custom-designed doors or shelves. Choose from a variety of styles, colors, and finishes for a truly personalized look. 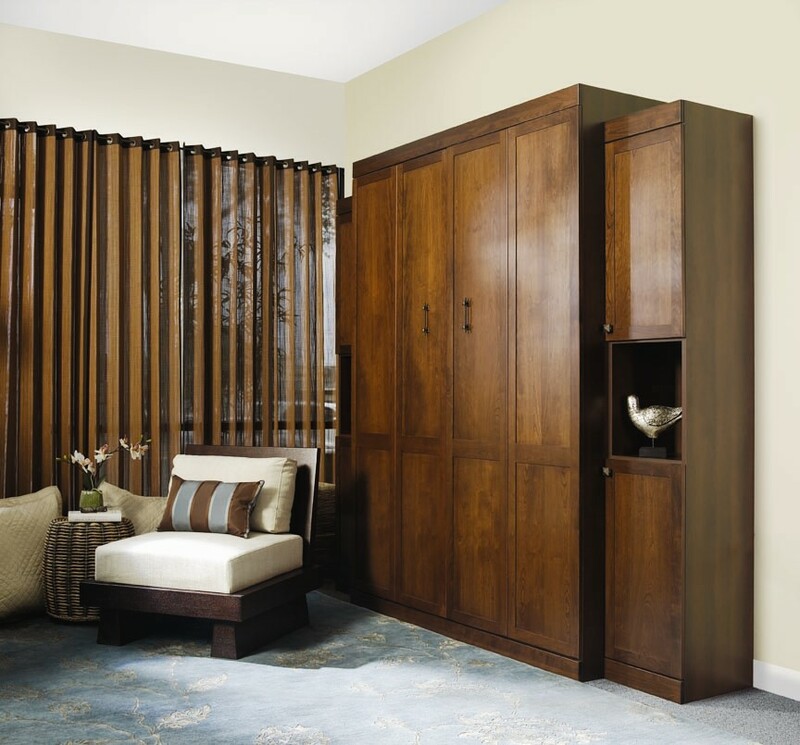 We also offer many different Murphy bed designs, so find the one you love is easy. 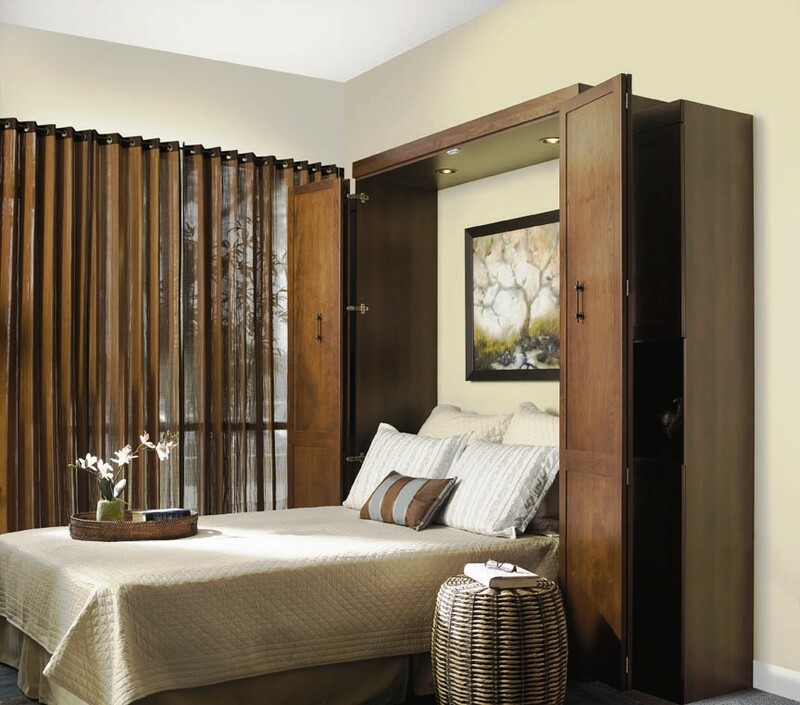 Our classic Murphy bed features bi-fold doors that open to reveal the hidden bed. It’s a great option if you’re looking for a simple and sleek design. Another of our most popular beds is the Madison bi-fold bookcase bed. This model is perfect for Dallas area book lovers, as it offers ample shelving space on the doors that fold out to the sides when you need to access the comfortable bed hidden away. Now when you’re limited on space, you don’t have to choose between an extra bed and a bookshelf – you can have both! Our panel beds feature the same sturdy operation, but they have a decorative panel underneath the mattress that is hidden when the bed opens. When closed, the attractive panel and optional storage add-ons make the panel wall bed a perfect cho ice for a stylish, multi-functional space. The panel bed is truly the ultimate space saver, as it saves more space without the bi-fold doors. The cosmopolitan bed is ideal for rooms with low ceilings or homeowners who favor a contemporary look. Another popular style, our New Yorker, is another model that offers a modern look. It also has side cabinets, as well as dropdown nightstands for additional utility. Both Murphy beds and panel beds are available in a variety of styles and finishes, offering numerous possibilities for adding beauty, efficiency, and comfort in the room. Choose from our selection of Verti-Stor Serta mattresses, which are uniquely designed for vertical storage and maximum comfort. They’re available from firm to plush in King, Queen, Full, Twin, or Twin XL. If you want to learn more about our many Murphy and panel bed options, contact More Space Place Dallas today! We’d love to give you a tour of our showroom where you can see various floors models, or schedule a free in-home consultation with one of our experts. To see the different beds available, take a moment to “flip” through the bed brochure below.